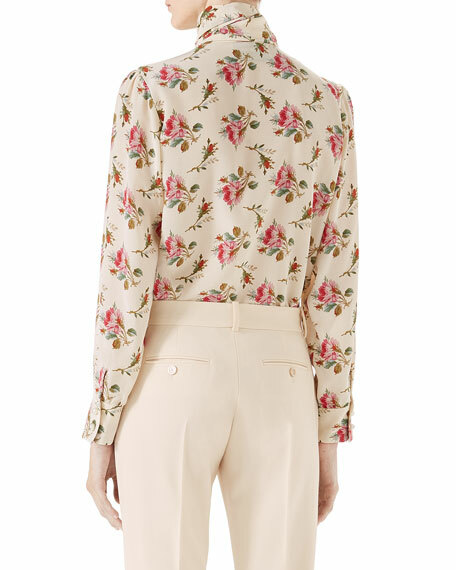 Rose-print crepe de Chine blouse. Approx. 28"L down center back. For in-store inquiries, use sku #2363690. 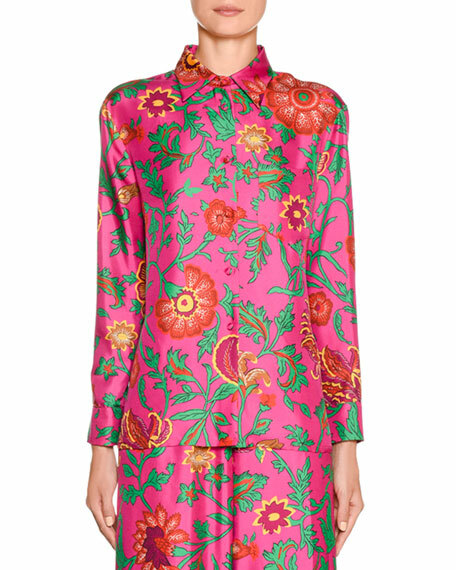 Alice + Olivia "Willa" printed shirt. Approx. 25.5"L from shoulder to hem. 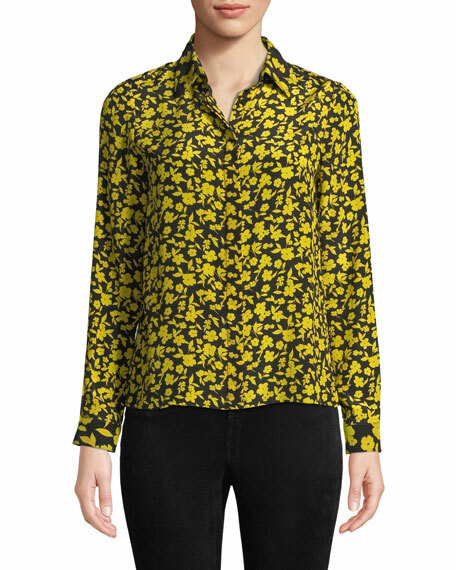 Point collar; concealed button front. Long sleeves; barrel cuffs. 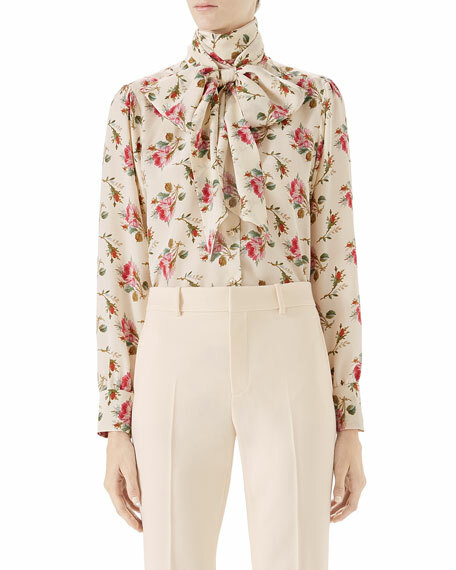 Yoked back; box pleat. Slim silhouette. Silk. Dry clean. Imported. 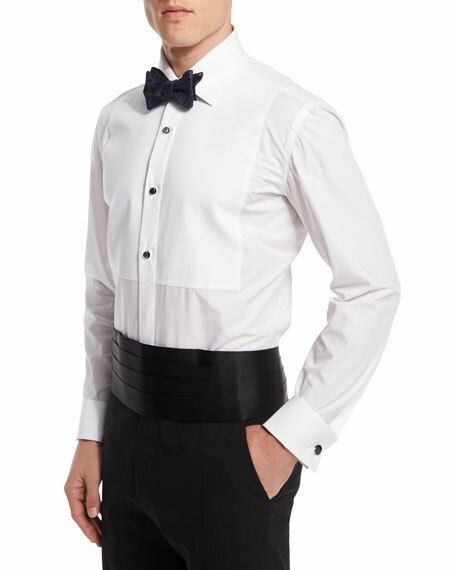 Borrelli crisp tuxedo shirt. Point collar; button front. French cuffs. Pique bib. Cotton. Made in Italy. Model's measurements: Height, 6'1"/185cm, waist 32"/81cm, suit 40L, shirt 15x34, inseam 32"/81cm.